Marie Stopes Tanzania, through a grant by DFID, launched the most comprehensive national family planning campaign aimed at sexually active youth. Using radio and social media to address misconceptions, challenge norms, and change behavior, Khanga Rue developed a memorable and inspirational campaign. 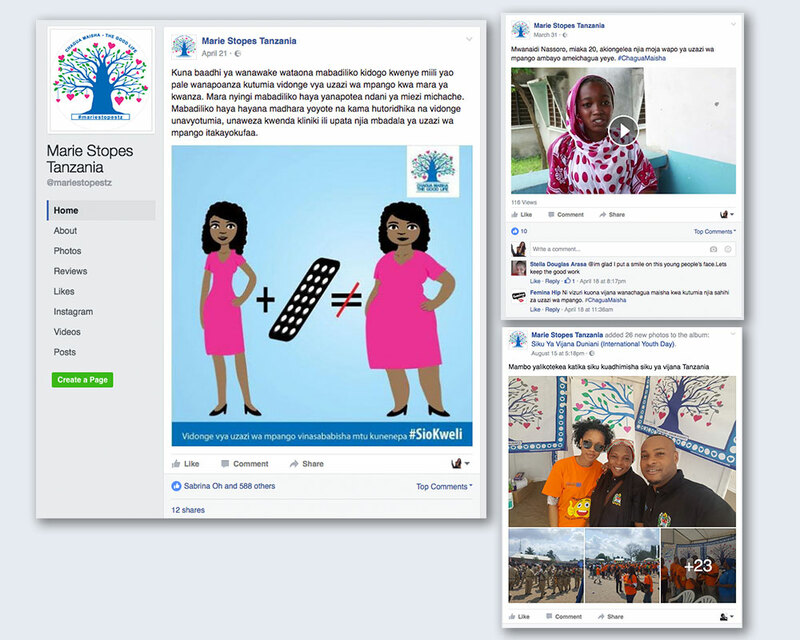 In just 2 months, the Marie Stopes TZ Facebook page gained 30,000 new followers.